Manufactured in Airtech mesh, Supersheen, Tri-Lobal, Warpknit and Tri-Acetate Fabrics. 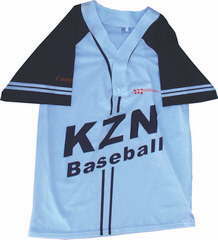 Manufactured in specific school, club, tertiary and corporate colours, designs and styles. Silkscreen printing, Sublimation and embroidery available on request. Orders can be ready in +- 10 working days depending on production space.